Running With Horses: A Good Feud Has Me Back On Track! A Good Feud Has Me Back On Track! In the 3+ year history of Running With Horses, it has been a rare occasion that we go a week between posts. So to look up and see that it's been almost a month, is disappointing to say the least. But summer is here, and there is much to run, read and write about. As a matter of review, this past month has been a time of recovery (relative to energy, not injury), and has provided an opportunity for me to create the new norm in regards to personal schedule and priorities. First, as many of you know, the annual ROCC 5k, and associated Run For God training, completed over Mother's Day weekend. RFG III resulted in another highly encouraging and inspirational season of running, discipleship and fellowship. The 3rd annual 5k also seemed to go off without many hitches. With almost 400 runners, we ROCC'd the Clemmons Food Pantry with $2,500 of race proceeds and over $1,200 of cereal. The race also helped to generate over $1,000 for the youth missions of River Oaks. On behalf of your entire race committee, and the Clemmons Food Pantry, thank you to all of our runners, sponsors and volunteers. All race photos available at the ROCC the Clemmons Food Pantry 5k Facebook page. Next, and many of you may not know this, but yours truly has gone back to school. Yes, I am learning to take notes on laptops, navigate the waters of online classroom portals, and find time that I never knew existed during the day and throughout the weekend in order to read and write papers, as I pursue a Master of Divinity degree from Gordon-Conwell Theological Seminary in Charlotte. May was a month of spring and summer semester overlap, so the time for all-things-running took somewhat of a back seat. I can say that from a discipleship standpoint, I look forward to sharing bits and pieces of the many lessons to come. I am blessed to have this time available and the opportunity to serve through River Oaks. Next weekend, in celebration of my wife's 45th birthday, we will be spending the day straddling the Kentucky / West Virginia state line (alright, so maybe it's not actually in honor of her birthday, but the dates work, so we'll go with it). 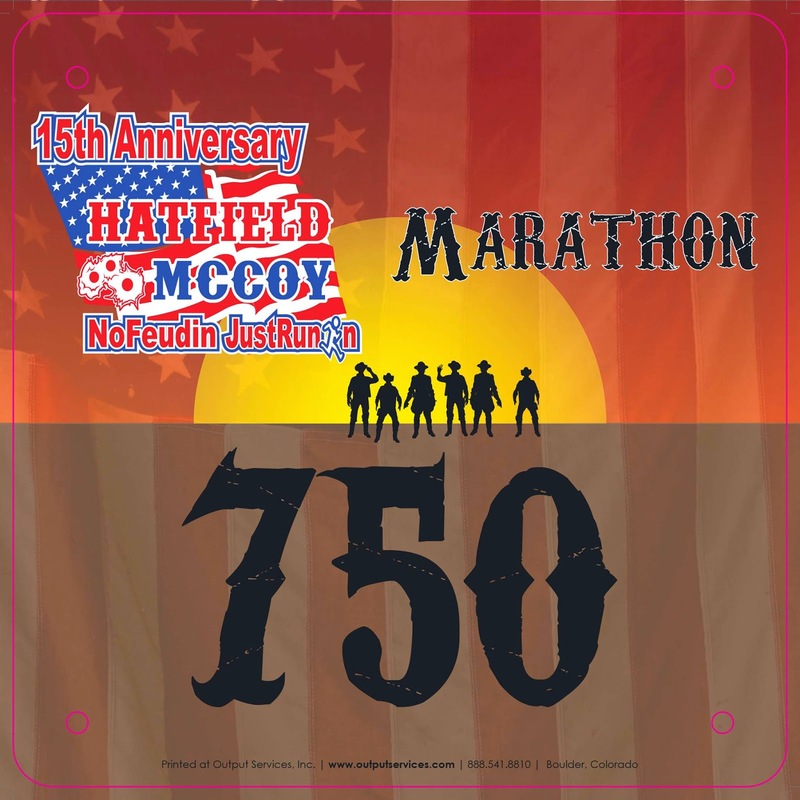 I found this marathon a few months ago and just had to sign up. I can count it as either state, and have decided to use West Virginia. There are few Kentucky races that would be more enjoyable down the road. Following the trail of "famous" feuding locations (maybe Pappy Hatfield's hidden still or Elmore McCoy's banjo porch), the route takes an intimidating path up and down Blackberry Mountain. Throw in the fact that it's one of the only June marathons in existence (for a good reason), and you realize that it does indeed become a matter of survival over finish time. Regardless, I am looking forward to a great experience--including a shotgun start and mason jar finisher bling! There will definitely be pictures and a report to follow.